Mayim Bialik calls the book a “fascinating journey” and “beautiful exploration of self and identity”. Natan Sharansky celebrates Aryeh’s “engaging passion and persistence”. 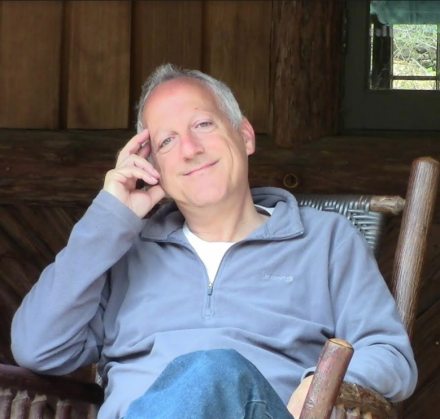 After his devastating divorce, which rocked his world and confounded his deeply-held optimism, Aryeh Green’s goal was to get his life back on track. 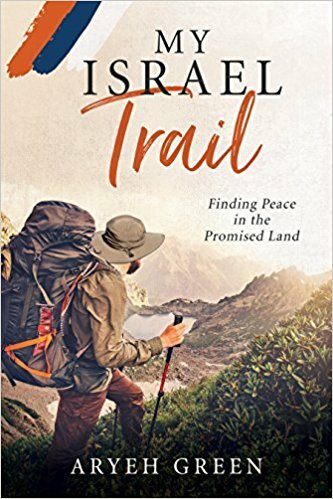 His hike along The Israel National Trail enabled the discovery of a number of universal truths for living based on Jewish tradition. In a uniquely moving and uplifting book, Aryeh invites you to join him on his trek, as he shares with you both a new perspective on Israel – the land, the country, its history and people – and illuminating insights from the experience. Aryeh Green is a passionate lover of Israel – the people, the land, the country, and the idea. Residing in or around Jerusalem for the past three decades, Aryeh lives and breathes a vibrant and living Judaism, which affects all he does – including serving as Chief Strategy Officer of EnergiyaGlobal, a Jerusalem-based renewable energy platform for Africa; as Director Emeritus of MediaCentral, providing services for the foreign press in the region; formerly as a senior advisor to Israel’s deputy prime minister Natan Sharansky; as a backyard vintner; and as a writer, activist, husband and father. I’m scared, standing on a thin ledge on the side of a cliff. To my left is a sheer rough wall; to my right, a drop of 30 feet or so to the river bed below. But directly ahead an angry tree blocks the way. (How does it hold to the side of the rock?) It seems threatening as it jumps in the hot wind. With about 50 pounds on my back, I’m too afraid of falling to turn around. Turn to the right and my backpack hits the rock face; turn to the left and the weight of the pack puts me off balance. And the boulders down below aren’t very welcoming. Galilee, it’s just not that easy. Even with the backpack on (including the small guitar hanging from its side), just a minute or so ago I pretty nonchalantly leapt over a three-foot gap in the ledge a few paces back. But I just know—with all my casual confidence built up over the preceding weeks of hiking through Israel’s desert mountains and northern reaches—I can’t do it again. That is, if I can even turn around on this one-foot-wide ledge. It may be the perfect metaphor. Sometimes you reach an impasse. Not only is it unclear what the next step is, but you’re also not sure how the heck you got there and are too scared to move. All the alternatives you can imagine are dangerous, or unpalatable, or frightening. You’re stuck, and the panic starts to rise. Times of personal hardship, relationships, work situations, and other challenges we face test our mettle. Rabbi Herschel Schachter taught that the biblical “value” of a person in Vayikra, the Book of Leviticus, is calculated by his or her response to suffering and adversity. Elie Weisel and Victor Frankl took the personal and national horror of the Shoah/Holocaust and translated their experiences into timeless lessons for humanity. In Man’s Search for Meaning, Frankl stresses the importance of having a goal to strive for, pushing us to move ahead, to take the next step, and the next. My goal that day was to get to the Kinneret by nightfall (and not to plunge down the cliff face onto the rocks below). My grander goal was to finish what I’d started, hiking the Israel National Trail (“Shvil Yisrael”) from one end of our tiny country to the other. (It’s not that tiny—the Shvil runs some 1000 kilometers or 600 miles from the Red Sea in the South to the border with Lebanon in the North.) And after my devastating divorce, my ultimate goal was to get my life back on track, or to find a new track for myself. I take three deep breaths—thank you, Thomas Crum—to calm down, focus, and discover the possibilities open before me; then I make a decision. Not moving my feet an inch, I lower the pack slowly to the ground, managing to lean it against the rock. Freed from the weight of the bag, I turn carefully and retrace my steps along the narrow path on the side of the cliff—jumping over the breach—and yes!—find the trail-marking high up on the rock face above an almost invisible foothold carved into the cliff. I did that ledge once with the pack, I know that; all I have to do now is convince myself I can do it again, this time in the opposite direction. Retracing my steps, it’s funny, but when I (carefully!) heft the pack on my back, it seems somehow lighter, more manageable. It hasn’t changed; I have changed. Or rather, my attitude, my sense of self and sense of direction and purpose, my confidence and belief in my ability to walk the path, has changed. It’s not that I’m no longer afraid; I just know I have it in me to keep going. Sometimes we need to set aside our baggage and re-evaluate. My hike along the Israel Trail—or my Israel Trail as I’m calling it—enabled the discovery, or rediscovery, of a number of essential truths for living. All come from the ancient wisdom of the Torah and the rest of the Hebrew Bible and Jewish tradition, but at the same time they are universal and universally relevant for anyone seeking inner peace. I was overwhelmed by the daunting challenges facing me—on the Trail, in my life, and at the national level. Every day brought a new difficulty, from scorching heat and impossible inclines to aching loneliness and crises of confidence, from news of family problems to news of terror attacks. I meditated on mountaintops and cried in dry creek beds; I wrote anguished journal entries and composed songs to lift my spirits. I looked back, and inward, and up to the night sky, and over the valley to the next mountain range, and down at the ants in the dirt, and back along the trail to see how far I’d come. What I discovered on the Shvil was a sense of self, a sense of personal and national history…and a perspective of sorts on the human condition. These are my reflections, a meditation as it were on existence, relationships, happiness, challenges, and hope. Giveaway ends 11:59pm MT on July 21st. July 17- Why Not? Because I Said So!